5 The Green Park Home is ready to move in to and become your new home! This home is one of just three remaining and available to purchase at Woodlands Park in the heart of the Kent countryside at High Halden near Ashford. And it’s being offered at the extremely attractive price of £240,000. 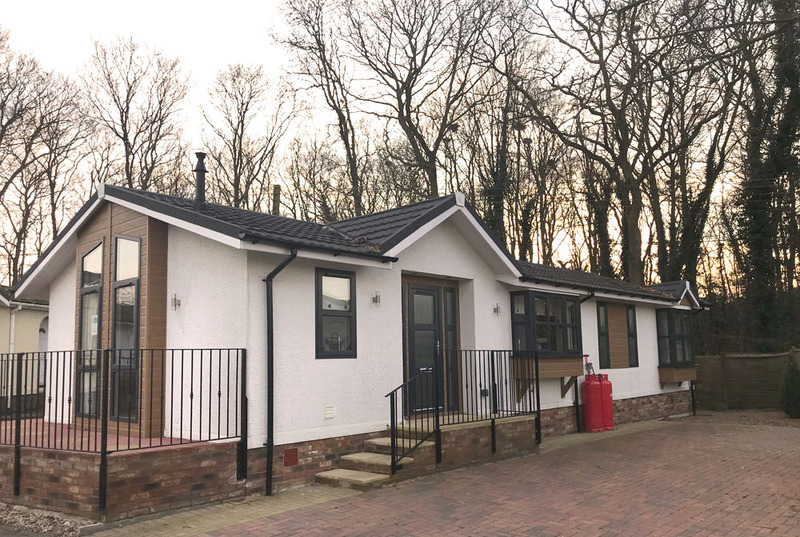 It’s the ideal spot for a permanently peaceful lifestyle, and it’s a fully residential park for those aged 50 and older. That means you’ll be with people your own age who are there all the time, making it easier to make friends. This is a striking property, with box bays and an inset front door, set off to perfection by feature cladding emphasising its modern, angular shapes. 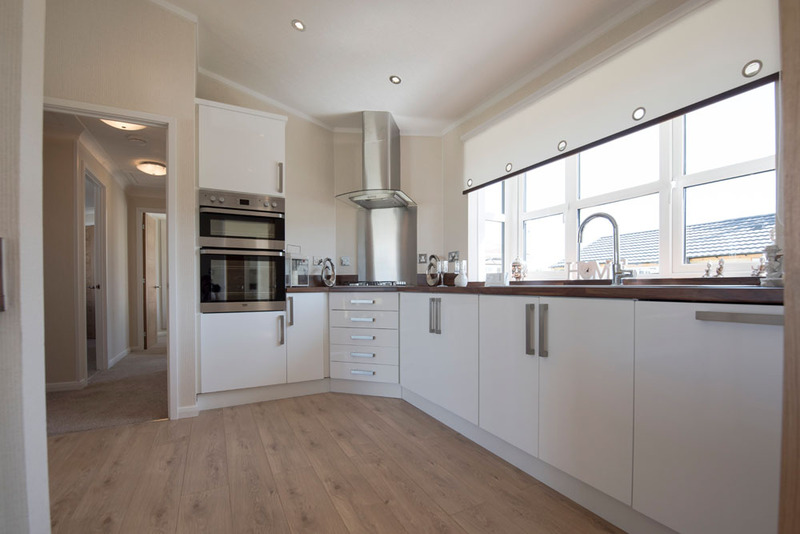 You’ll love the spacious contemporary kitchen/diner, which has a well-thought-out open-plan design. Meanwhile, the luxurious bathroom is a world away from most perceptions of mobile homes, with little alcoves where you can place candles for the ultimate decadent soak. 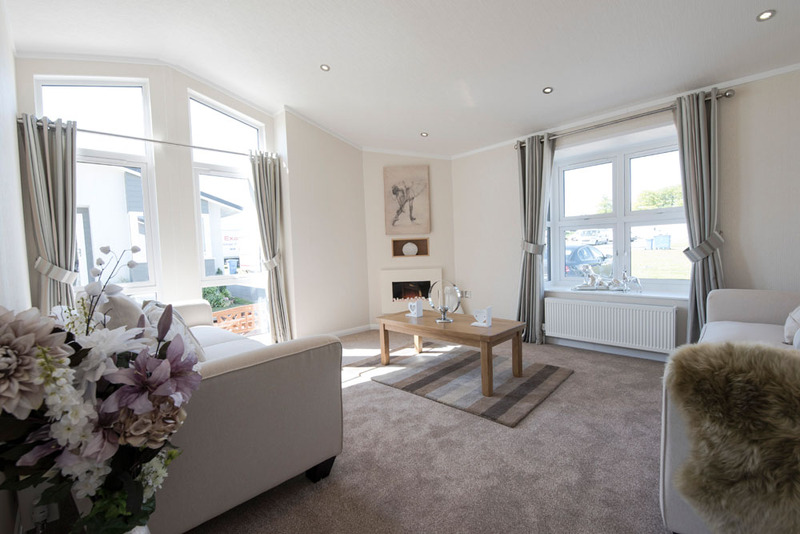 Enquire about our Property of the Month or any other available properties at Woodlands Park by completing your details and a member of our friendly team will be in touch within 24 hours. 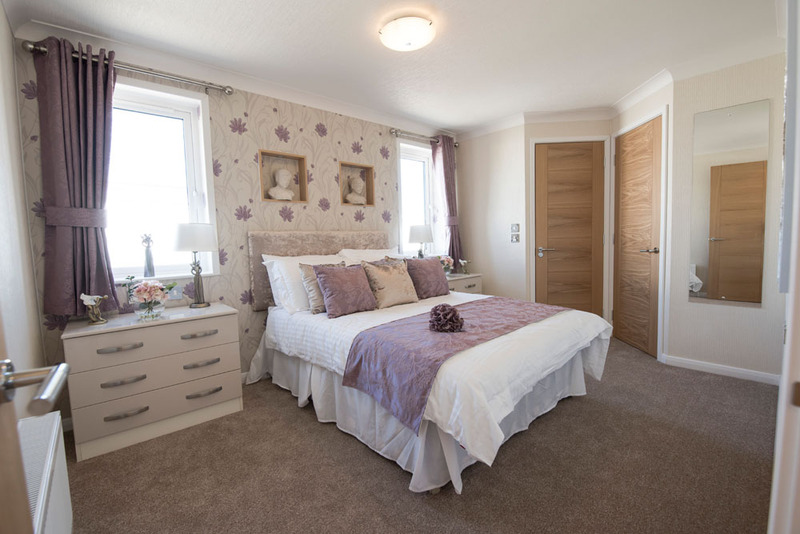 If you’re looking for Kent park homes for sale, take a closer look at Woodlands Park. It’s the perfect base from which to enjoy an idyllic lifestyle, in a supremely tranquil setting. Set in the stunning Weald of Kent, it’s a beautiful place where you can relax and unwind in style. But when it comes to trips off-site, you’ll be spoilt for choice, with many options for great days out on your doorstep. Leeds, Hever and Sissinghurst castles are all within striking distance. These are just some of the nearby attractions across the county and over the border into East Sussex. Whether you love woodland rambles, birdwatching, cycling, fishing or country drives, you’ll be able to do it all here. There is easy access to the towns of Biddenden and Tenterden, for when you want a bit more bustle or need to do some shopping. To enquire about our Property of the Month or the two other available properties at Woodlands Park please complete your details and a member of our friendly team will be in touch within 24 hours.